AHEAD of administrative sanction of Rs 2.78 crore for setting up of a new Nirbhaya shelter home at Pulayanarkotta, a pilot project called 'Punarjani' with smart library, laptops and television was launched at two Nirbhaya shelter homes here. Nirbhaya Cell of state social justice department joined hands with telecom operator Idea Cellular Ltd and NGO Design & People to launch the scheme. The scheme is entirely funded by Idea Cellular Ltd, which has chosen 'education of the girl child' as its CSR theme this year and it is operationalised with the support of NGO Design & People. Aptly termed 'Punarjani' these smart libraries are meant to encourage the girls in the Nirbhaya centres to develop their creative and intellectual skills. The libraries are designed in a modular fashion wherein the furniture can be reassembled to host multiple activities like reading, video learning, conducting seminars, playing indoor games and painting. The libraries are also equipped with TVs, laptops and hundreds of books that can be accessed by the children at these centres. "These libraries will definitely rejuvenate the spirits of the children at the Nirbhaya centres and will assist them to acquire new skills and discover their innate talents," higher education department principal secretary Usha Titus said after the launch of 'Punarjani'. Social justice department secretary Biju Prabhakar said, "Given the unsavoury experiences from which these children have emerged, the idea of designing a smart library that helps them put their past behind and equip themselves with the skills to paint a colourful future, is truly a noble one." Nirbhaya Cell state coordinator Nishanthini R said the creative skills offered through such programmes will create a positive impact among the inmates. Kerala Idea Cellular Ltd, Kerala, chief operating officer Vinu Verghese said, "We thank PE Usha for patiently guiding us in bringing this project to completion. With this successful start, we now intend to open such 'Punarjani' libraries across other Nirbhaya centres in Kerala." Design & People co-founder and architect Suku Dass said, "At Design & People, we strive to improve the lives of people by uniting graphic & architectural designers to use their skills towards social and humanitarian projects. 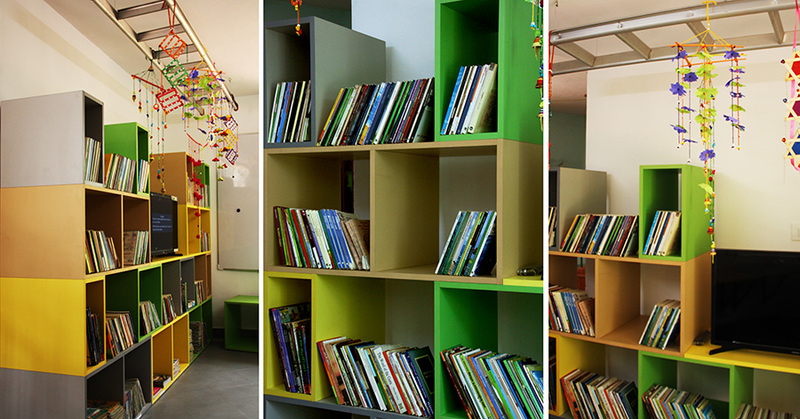 Our approach here was to develop a space that acts as an incubator for the children to grow." Kerala Mahila Samakhya Society director PE Usha said such initiatives aimed at skill enhancement and infotainment will help empower the children and women and overcome the trauma that they had suffered. Architect Gayathri Sathyan and Architect Lovis Anna Easo, representatives of Design & People deliver their messages to the children and speak about 'Design to the Children' at the Nirbhaya Home Centre, Thiruvananthapuram.